The Bidar Fort has its strings of historical legacy attached to the Bahmani dynasty. 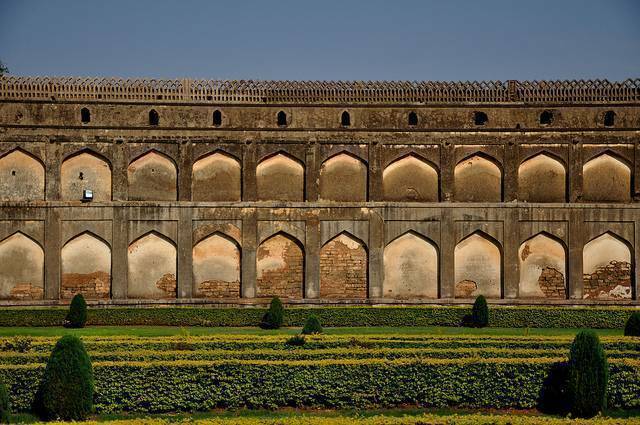 The first ruler of the Bahmani dynasty named Sultan Ala-ud-Din Bahman Shah in 1427 had built this fort. The fort has been designed taking inspiration from the Persian architecture and has a quadrangular shape. The dimension of the architectural marvel is 1.21 km in length and 0.80 km in the breath. The bastions, gates, walls, roof and barbicans of Bidar, though in ruins, are well conserved and considered as some of the most stylish in India. There are seven exquisitely carved entrances to the Fort, out of which the most beautiful one is the Shera Darwaza, which displays two images of tigers carved on its fascia. The trip to the fort can be a memorable one for both historians and archeological wonders.